When my friends at C&T Publishing reached out about reviewing and giving away a book about improv quilting I wasn't sure. I am a pretty traditional quilter. I may use modern colors, use the blocks in things other than quilting but no matter what a log cabin is traditional. It's been around longer than any of us have been. I thought I would test the waters with my improvised courthouse steps block. Y'all loved that block so I told C&T to send me the book and I would be happy to review Create Your Own Improv Quilts. This book is by Rayna Gillman. I think I way into country music because when I first saw the email from Rayna I thought of Rayna James, the character on Nashville, and of course Gillman makes me think of Billy Gillman. I wondered if they were related but just couldn't get the guts to email her and ask. One of the things that I try to get others to think about when doing a quilted project is to play with fabric. If you are doing a super traditional quilt block play with modern fabrics and if you are doing a modern quilt design throw in your reproduction fabrics. Rayna suggests the same thing in her book, great minds think alike and all. 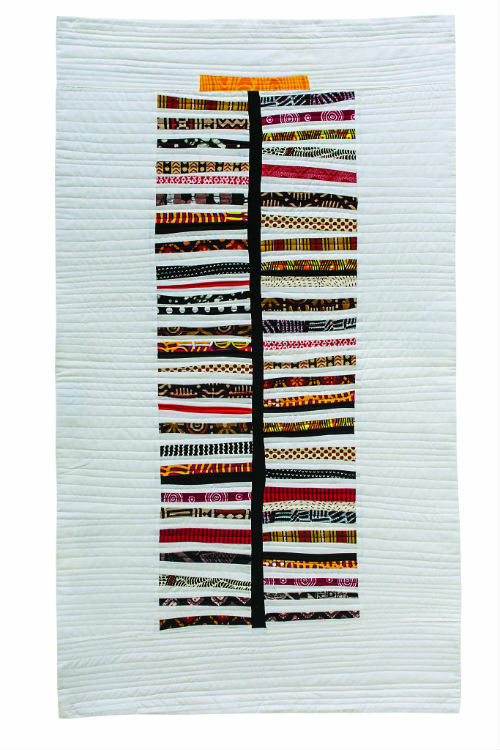 So let's look at a couple of modern quilts using traditional fabrics. This first quilt is called In Motion and Cindy Anderson made it. These are all recycled fabrics. Recycling fabrics for quilts go back to begining of quilting. 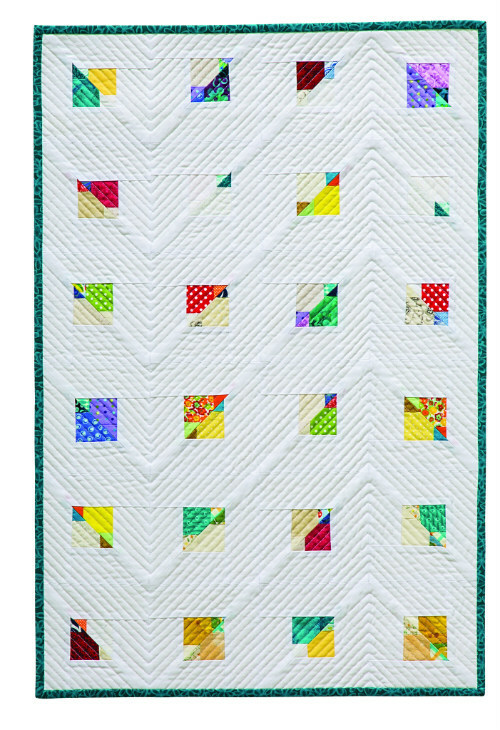 Cindy took some traditional quilt blocks she wasn't going to use and turned them into this refreshing modern quilt. 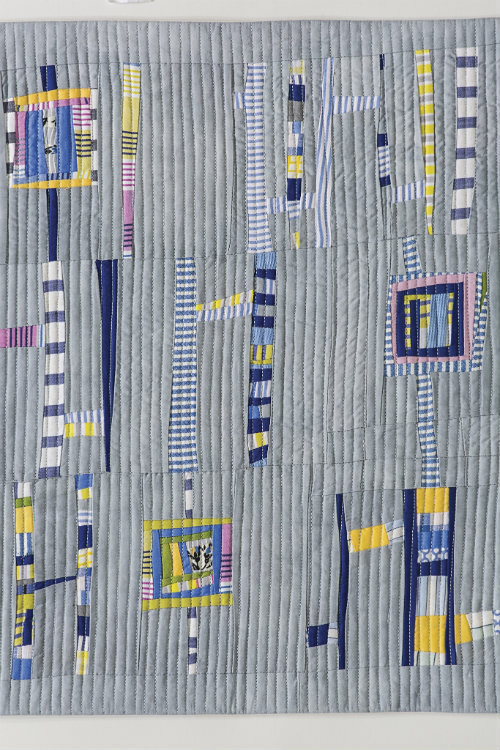 Rayna used scraps from her grandma to make this quilt, Pajama Game. She mixed those scraps that her grandma collected while working in a factory making pajamas with modern solids and a hand-dyed gray background. There are no patterns in Create Your Own Improv Quilts. The reason is, there isn't a pattern for improv. The whole point of improv is to step outside of the box and let the shapes and fabric speak to you. You'll want to start simple. A simple shape, like a rectangle, is a great place to start and you won't end up with a boring quilt I promise, if you follow Rayna's tips. Are you ready to try it for yourself? I am part of a blog hop introducing this book. Each person will explain a little more about the book and a few even have pieces in the book. All of us will have a giveaway for a free e-book going until December 8. So you have time to head back to the earlier stops and enter there for a chance to win. If you don't win or don't want to enter the giveaway you can always purchase Create Your Own Improv Quilts book. 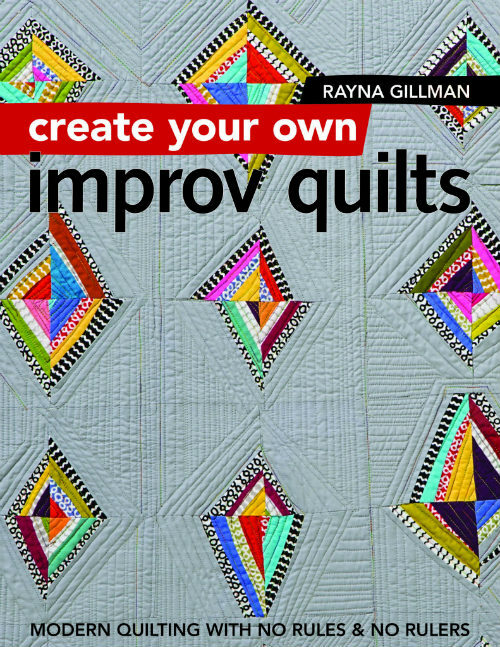 This looks like an awesome book - improv quilts look so neat!! love the pjama game one! I love improv and Rayna is a great author. I hope you enjoyed reviewing this book. Rayna is a wonderful teacher. I'd love to have an ebook of this newest one. Thanks. Rayna is a great teacher. I enjoyed her class a few years ago and am sure this book will be equally insightful. Thanks. Looks like a great book, I’d love to win a copy!